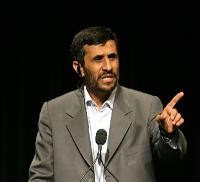 As massive protests shook Iran in June 2009 following President Mahmoud Ahmadinejad's widely contested re-election, Arab leaders around the region watched the unfolding events with a mix of wariness and satisfaction. Unnerved by the Obama administration's overtures of rapprochement with the Islamic Republic, many had a keen sense that Iran would emerge from the crisis weakened and more isolated internationally. They were largely correct.